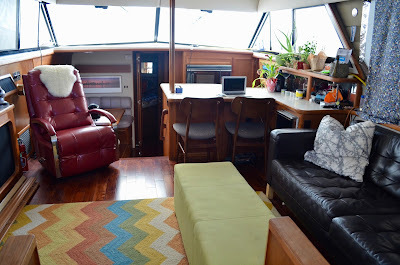 Kristin Bor gives a tour of her 4x4 Sprinter van conversion. 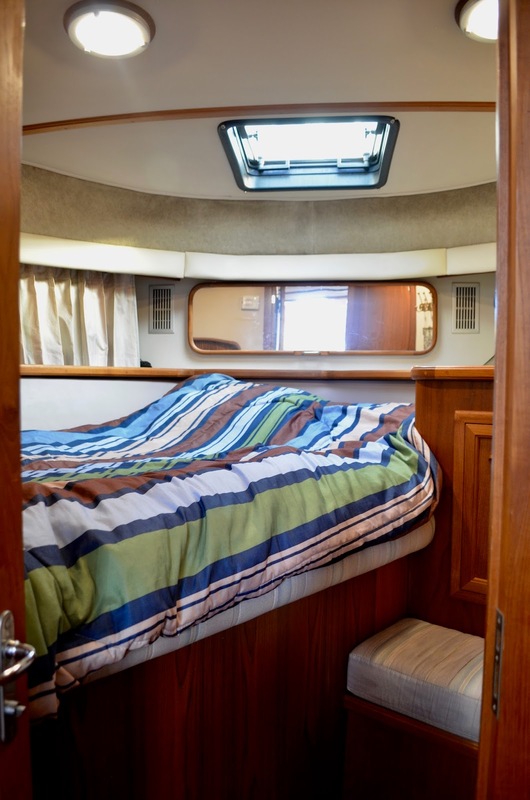 What makes Cygnet right for us versus the van life is space. So many times when we tell people we live on a boat we see the confusion in their eyes and they don't get it. The folks who come to see Cygnet and get a tour understand. It really is an apartment on the water. We have almost everything we need on board. We have plenty of space for the two of us and all our stuff. Sure, we keep our bicycles on land in the marina but they could be stored on board if we needed to. In fact we've often made weekend trips to other marinas and taken our bikes along for transportation. We also have a small storage unit which holds some things from our house and Kevin's Mother's house after she passed away, but all those things could go away and we'd be completely free of land reliance. At anytime we could untie our ropes and just go. Certainly we're limited to the rivers and lakes Cygnet has access to, but we're on the Chicago River which means we could go to the Gulf of Mexico or the Atlantic Ocean depending on which way we turn out of the marina. We're not eager to pay that fuel bill just yet and we'd like to get Experimac West Loop to a better position before we decide to chuck it all. The point here is that we could do it, and that's mostly what matters to us right now. Many of you haven't taken the plunge into the water world of living aboard and that's fine, at least you have the dream. Galley from above, it's a real kitchen! 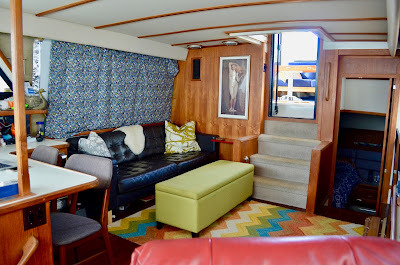 The idea of living on a boat can be a romantic one, something I think living in a van down by the river doesn't achieve (Chris Farley would not approve). The "tiny house" movement seems to still be gaining in popularity and it's something we follow a bit with shows like Tiny House Hunters and plenty of YouTube channels and blogs. The thing about Cygnet is that we don't really see it as a tiny house. It technically is since we have about 400 square feet of living space, but the main difference with Cygnet is the width of her. Girth matters. When we sit in our living room (the Salon) we have a comfortable distance to the TV or anything else since our interior is eleven feet wide. In a tiny home the maximum interior width is around seven and a half feet. The extra width makes it seem so much bigger. When living in a van, which may be even narrower, it makes sense to wander and get to new places to explore. You really don't want to spend that much time inside the van. 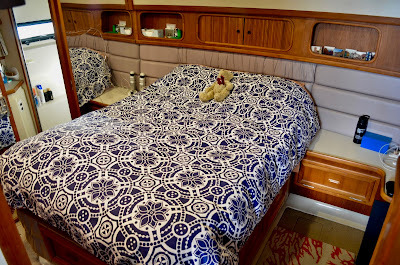 When it comes to Cygnet we are very comfortable inside, even in winter we are cozy and happy. So Water We Thinking about the dream of another adventure without Cygnet? We love our lifestyle now and thoroughly enjoy our "less is better" living situation. A van or RV might be in our future but we think that is years away. It's time to concentrate on the now. If you're living in a house and dreaming of a life aboard you should know that it's worth all the challenges. If you're ever feeling like you don't have enough space in your home, watch videos about people living in smaller quarters and loving it - it will make you feel like you have more that enough space. It's always fun to dream. One thing we never do is dream of living in a house or apartment again. Tdpep is a leading supplier of boating, marine hardware & wholesale "Boating"
marine electronics in USA. You can buy our brands at discount prices. 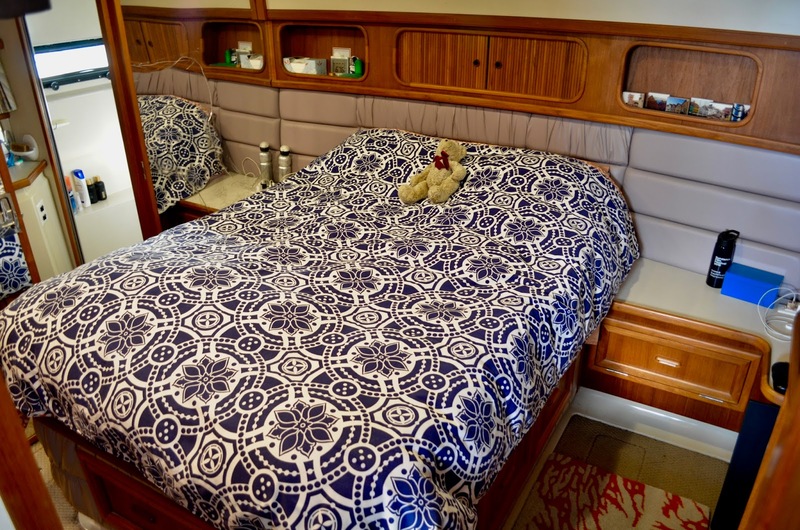 We can certainly relate to all the points about 'space' on your boat. 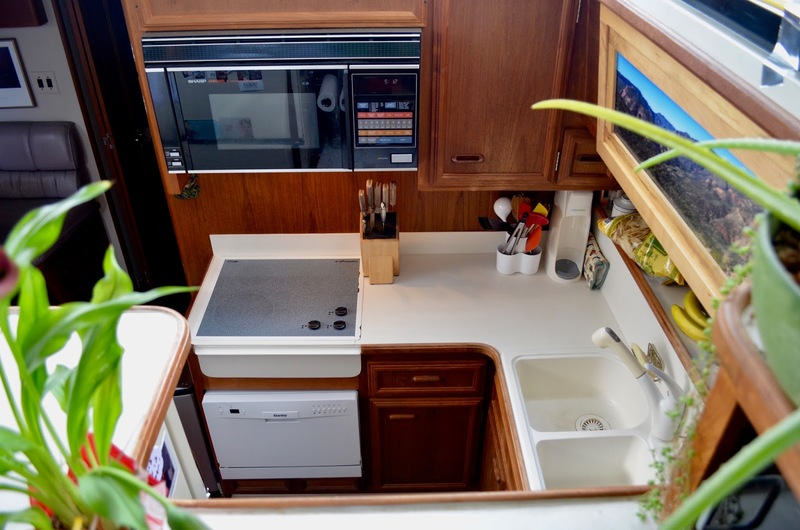 We happen to have the same 4207 Carver with the exception of the dinette layout. 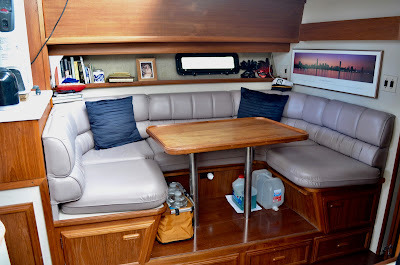 Our initial shortlist of 4207's had us leaning very much toward the dinette until we considered the real role of the dinette in our motorhome (in which we spend months each year out West & otherwise) ... STORAGE! We practically never use it for the intended purpose but rather papers, misc. groceries, coffee maker, etc. 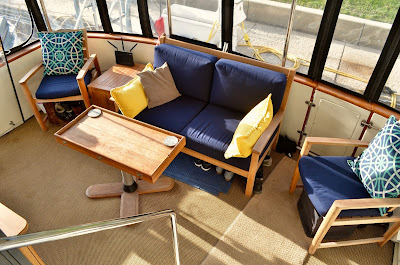 For us, the island forward berth and increased storage, galley & head space has been great, especially since we most often are eating in the outdoor areas. Conversely, and given your year-round occupation, the dinette is probably a necessity! 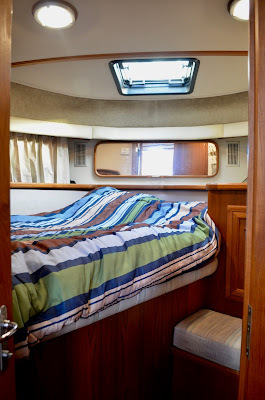 Back to the space topic - both height & width - the environment aboard seems almost cavernous when standing in the down galley and beholding the headroom above, at least for this motorhome dweller, and the generous beam makes even the maximum width of our motorhome (measured wall to wall across opposing slide-outs) seem confining. All that in combination with the split plan and ample outdoor living space makes the 4207 seem a lot bigger than a 42-footer! Sorry Dave, I just saw your reply. Knowing that a van is super small we have reservations. Knowing we'd not want to live permanently in it we'd be fine, at least for the short term. I've spent a lot of days living in hotel rooms as I've traveled and we've both spent time living out of a car/tent. Granted those were days to a couple weeks at a time, not months to years. We do love the 4207 layout, however we've both questioned the decision to purchase a dinette version. It seems like having the much larger forward stateroom would be great for guests. 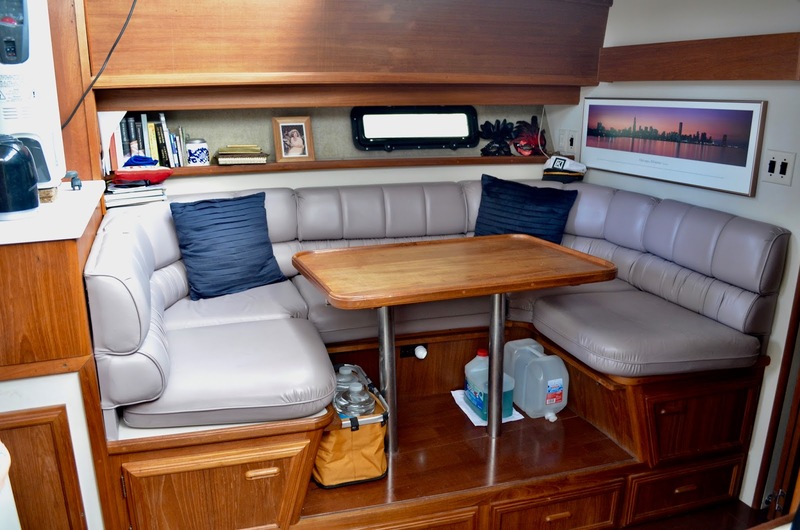 People make do however and we like the openness of the dinette model, and you're right, there is a lot of storage. So much in fact we don't even use it all!